As I was sitting down to write about I’ll Have Another, the magical horse that I picked to win the Kentucky Derby, it was announced the heavy 4-5 favorite of the Belmont was scratched from the race due to injury. I’ll Have Another was attempting to win the Triple Crown, and if he won tomorrow at Belmont he would have been the first successful horse to do so since Affirmed in 1978. Since Affirmed, 11 previous horses have won both the Kentucky Derby and Preakness, though each of them failed to win the Belmont Stakes. At least all 11 of those horses had a chance and ran the last leg of the crown. I’ll Have Another is the first horse since 1936 to not even run the race. 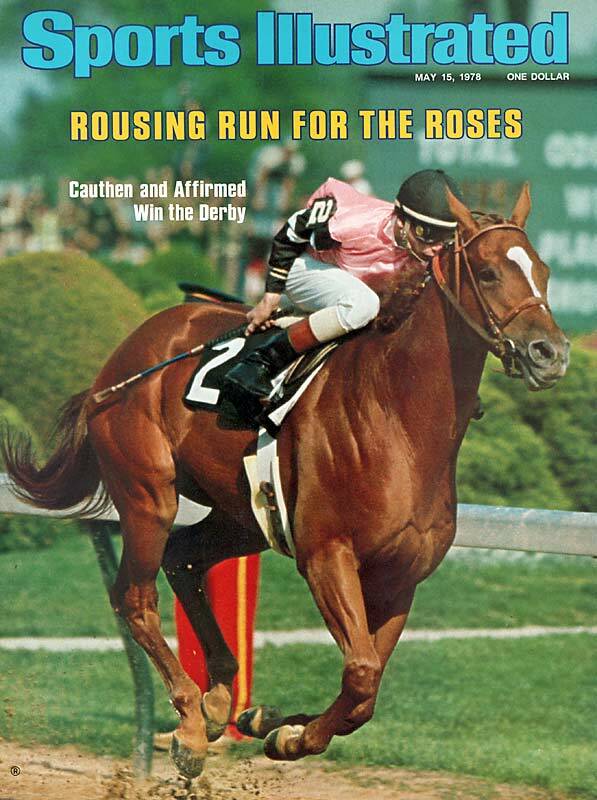 Now I am not a horse racing fan per se, but I truly saddened that this is how I’ll Have Another’s legacy has played out. I was looking forward to the race tomorrow, and was contemplating making the trip to witness history in person. Unfortunately, now there is very little intrigue heading into the race tomorrow for the casual fan. Also, this is a huge blow to the horse racing industry. During the middle of the 20th Century, there were three major sports followed in American Society, baseball, boxing and horse racing. The last two have been irrelevant in main stream culture for years now, so a big story like a Triple Crown winner would have been fantastic to bring an exciting past time back into the spotlight. 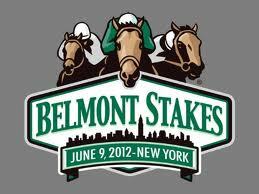 The workers at the Belmont were expecting a huge turnout tomorrow, and now I’m sure many people like myself will not make the ride out. “It’s devastating. 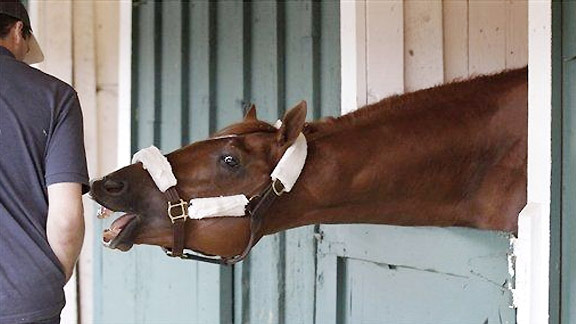 I thought this was going to be one of the greatest races in history, and I wanted the opportunity to be part of it,” said Dale Romans, trainer of second favorite Dullahan. “But this is bigger than that. This is terrible news.” Even Romans, who now has an even better chance of riding to his own glory Saturday, is saddened by this turn of events. It appears that the training staff for I’ll Have Another is being extremely responsible, and the horse will be able to go on and live a healthy life. If they wanted to be selfish and run the horse for a chance at glory, there would have been a risk of a life threatening injury. Even so, whether you are a big horse racing fan or you just enjoy sports casually, everybody enjoys watching history unfold before their eyes. Unfortunately,the racing industry and fans around the world will have to continue to wait for the next Triple Crown winner. I’ll Have Another on way to triple crown? There’s a lot at [Belmont] stake for this 3-year old. With jockey Mario Gutierrez at the reins, I’ll Have Another took his 15-to-1 win at the Kentucky Derby two weeks ago and parlayed it into a win today at the Preakness. 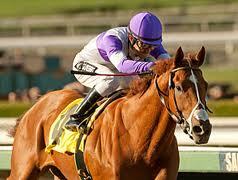 After 34 years it seems about time for a new triple crown winner. But hey, I’m sure there are plenty of racing fans who are also Red Sox, Jets, Cubs, or other such lonely hearts club members – 34 years is for pikers! 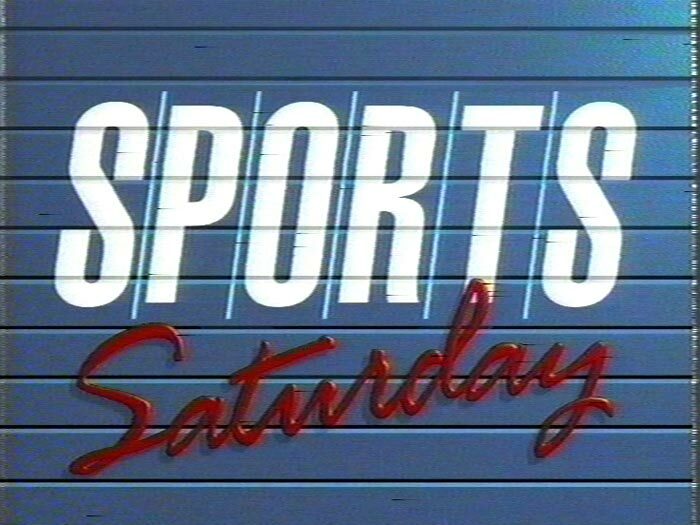 Sports Saturday for the Ages! Today is one of those days where if you are a sport fan, it doesn’t get much better! You have the NBA and NHL playoffs, a full slate of baseball, the Kentucky Derby and to top it all off, a big boxing match. My suggestion is to start off with a few beers and a comfortable couch for some hockey and basketball this afternoon, then find a nice lounge and order a few Mint Juleps and enjoy the derby, then switch over to a bar, order some tequila in any form, and watch the fight! For you gamblers out there, get your wallets ready and read below because this is a great day to wager on some action! NHL Playoffs: Rangers vs. Capitals- This series has been played very close throughout. Both teams play solid defense, have great goaltending and contains dangerous scorers who are capable of hitting the nets. 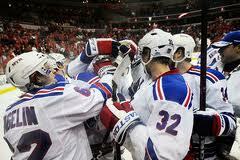 However, the Rangers have all the momentum in the world after their last game, a triple OT win on Wednesday night. I expect the Rangers to carry their solid play into today’s game, and even though it is in Washington, New York has played excellent away from the Garden so this won’t be much of a factor. Look for the Rangers to win another close, exciting game and take a 3-1 lead in the series. NBA Playoffs: Pacers vs. Magic- The Pacers are coming off 2 straight wins, the last being in Orlando and I don’t expect anything different from today. 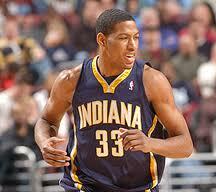 Danny Granger is the best player on the floor, coming off a 26 point, 9 rebound game. In game 3, Roy Hibbert had a solid 18 points, 10 rebound game, taking advantage of the huge void left by Dwight Howard, and I don’t see how Orlando can match his size. Indiana had a solid season all year long, though received very little attention. Look for them to take a stranglehold on this series today by beating the Magic and taking the series back to Indiana up 3-1. NBA Playoffs: Spurs vs. Jazz- Although San Antonio is a favorite to win the entire thing this year, as the Spurs have had a great season lead by Tony Parker, I believe the Jazz have a little more fight in them then they have shown. Though Utah lost the first two games in San Antonio by a combined 46 points, Utah has always enjoyed a great home court advantage. I do not think the Jazz have the talent to match up with the Spurs over the course of a series, but I also don’t see them getting swept. I think today is when they get their first and only win, and look for Derrick Favors to play more minutes and have a positive impact for the Jazz. NBA Playoffs: Thunder vs. Mavericks: Though the first two games were very close, Oklahoma prevailed in both and then dominated the Mavs in Dallas to take game 3, 95-79. The defending champion Mavericks have a lot of veteran leadership, and Dirk and company have been in this position before. 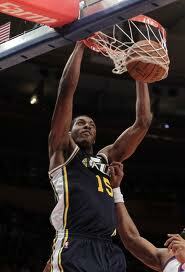 The only difference this year is they are going against a younger, hungrier, and better basketball team. Kevin Durant threw up 31 points in game 3, and it appears that the Thunder are trying to make a statement that they are ready for the big time. 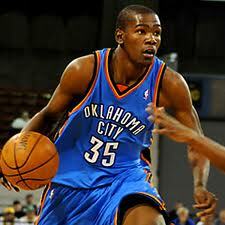 Look for Durant’s hot shooting to carry over and the Thunder to sweep the champs out of this year’s tournament. 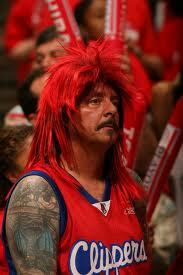 NBA Playoff: Grizzlies vs. Clippers- This series has been my favorite of the playoffs so far. The Clippers had a great comeback in game 1, the Grizz matched them in game 2 behind OJ Mayo’s 20 points off the bench, and now the series returns to Los Angeles. The Clipper fans have been overshadowed by Kobe and the Lakers for so many years, and this is the series and chance they have been waiting a while for. When they brought Chris Paul in this season it was for games like todays. I like both of these young, talented teams, and I really feel like this series has a great shot of going the distance. Though I am leaning towards to Grizzlies to take the series, I think the home crowd, who haven’t had a home playoff game since 2006, will give Paul, Griffin and the rest of the Clippers team the energy needed to match Memphis’s physical play and allow LA to take Game 3. 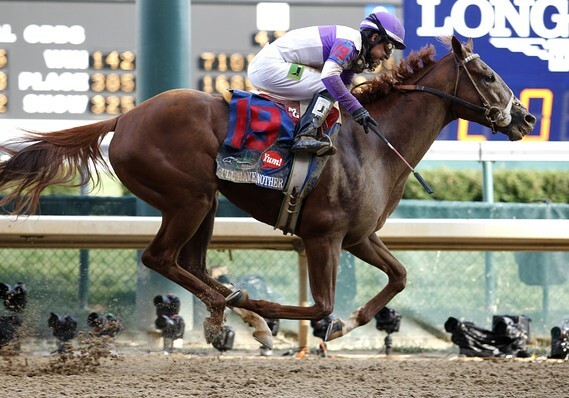 The 138th Kentucky Derby- I am not going to pretend I know a lot about horse racing. Every now and then (and by that I mean three times a year), I’ll tune in just because I like the half a minute of excitement and I enjoy hearing the announcers call the winner. I have not been researching the horses, I do not know how they each run on different tracks, and I’m not sure which jockeys have the inside advantage. However, from what I know, this particular field seems to be very open. As a result, I will predict my winner by using my usual strategy, pick a horse that has a cool name and pays out well. Since I plan on drinking a decent amount today, and plan on uttering the phrase, “I’ll Have Another”, then I don’t see how picking any other horse makes sense. I’ll Have Another is paying out 17-1, so as I’m at the bar, I’ll be simultaneously ordering drinks and rooting on this beautiful chestnut colt. 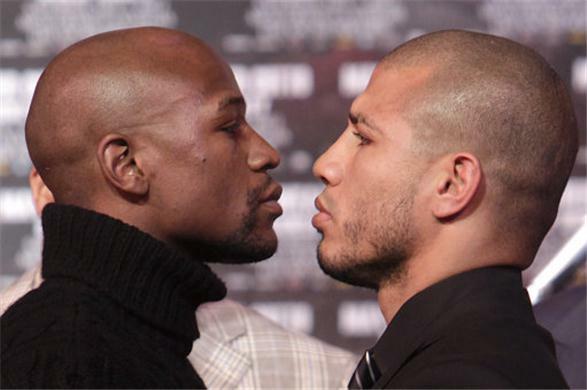 Junior Middleweight Title Match: Floyd Mayweather vs. Miguel Cotto- Floyd “Money” Mayweather has taken a lot of heat over the past few years for who he hasn’t fought, mainly Manny Pacquiao. However, in tonight’s match, he will certainly be tested by the 31 year old Miguel Cotto, who has a career 37-2 record, with one of those losses extremely questionable. His only other loss came at the hands of Pacquiao, so Cotto can definitely hold his own in the ring. Cotto is much more humble than the 35 year old Mayweather, who is the biggest showman in the sport. Though Cotto might be easier to root for, Floyd is the best in the business hands down. With a 42-0 lifetime record, it is very hard to argue that point. I think Floyd will win tonight, as he is just a better boxer than Cotto. I don’t see a knockout, as both fighters are technically sound, though I believe at the end of the night, Mayweather will receive the judge’s decision on the score cards. Enjoy the day and night in sports and good look with your bookies and at the OTB!